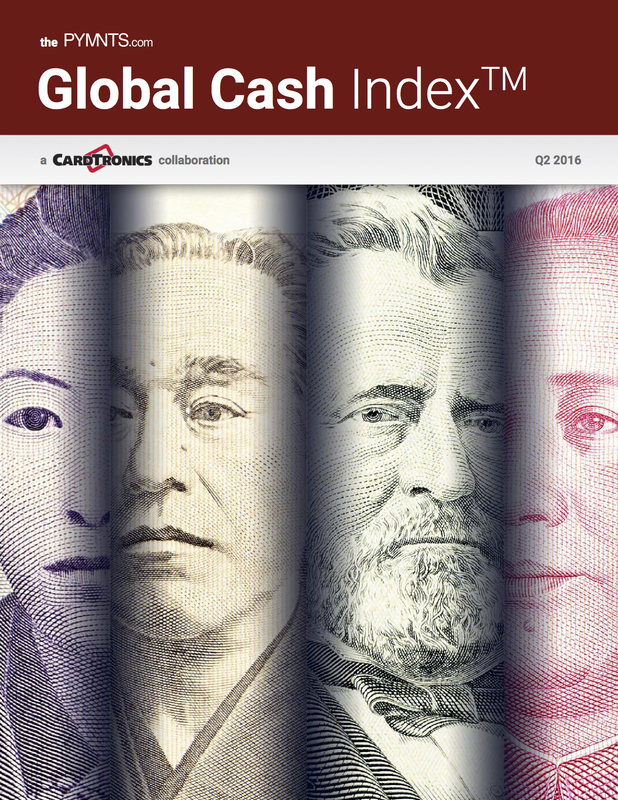 The PYMNTS.com Global Cash Index™, a Cardtronics collaboration, focuses on the use of cash for making payments and as a payment method that equally plays a role with cards, checks, direct debit, and other methods of settling up between consumers and businesses. Unlike most reported estimates of cash, our proprietary data analysis focuses on the use of cash for making payments rather than hoarding. About €2.2 trillion in cash is projected to be used for payments in WU-15 in 2020. A 0.3 percent increase in compounded annual rate of cash use in WU-15 is expected between 2015 and 2020. A 1.8 percent decline in cash share of GDP in the WU-15 is expected between 2015 and 2020.